Sure what else would you be doing while jumping out of a plane? Roger Ryan, then in Sydney Australia, took part in a publicity stunt by Hostel World, by shocking his unsuspecting folks, Mary and Pat. 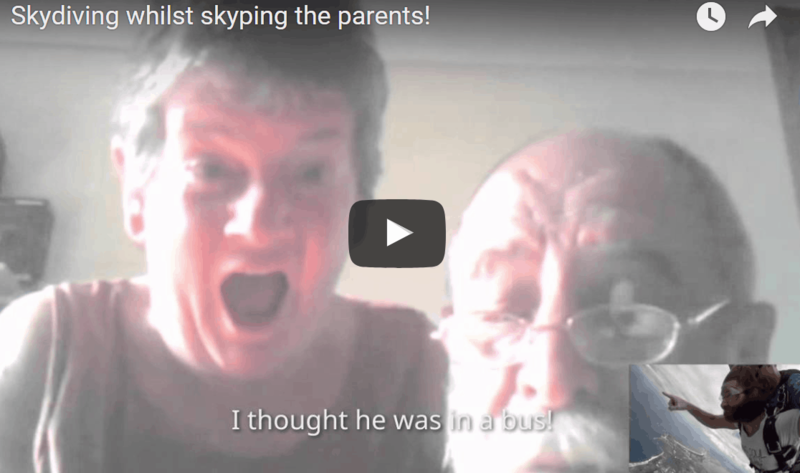 The hilarious video shows Ryan calling home to check in with his folks and second later he leaps from a plane. Enjoy and be sure to hit that share button.